Following the Company’s acquisition of FOGL in early 2016, Rockhopper became the leading acreage holder in the North Falkland Basin with a material working interest in all key licences. The overall strategy to develop the North Falkland Basin remains a phased development solution, starting with Sea Lion Phase 1, which will develop approximately 220 mmbbls in PL032 (in which Rockhopper has a 40% working interest). A subsequent Phase 2 development will develop a further 300 mmbbls from the remaining resources in PL032 and the satellite accumulations in the north of PL004 (in which Rockhopper has a 64% working interest). In addition, there is a further 200 mmbbls of low risk, near field exploration potential which could be included in either the Phase 1 or Phase 2 developments. Phase 3 will entail the development of the Isobel/Elaine fan complex in the south of PL004, subject to further appraisal drilling. 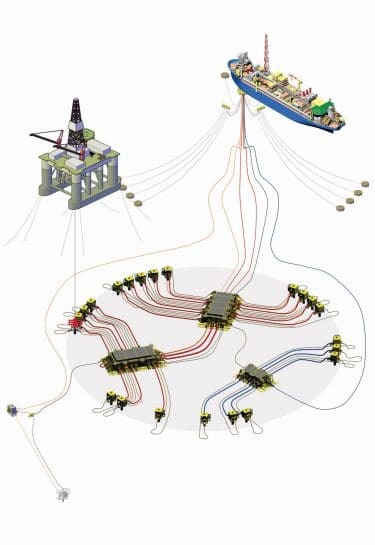 The resources in Sea Lion Phase 1 will be commercialised utilising a conventional FPSO development scheme with approximately 23 subsea wells. 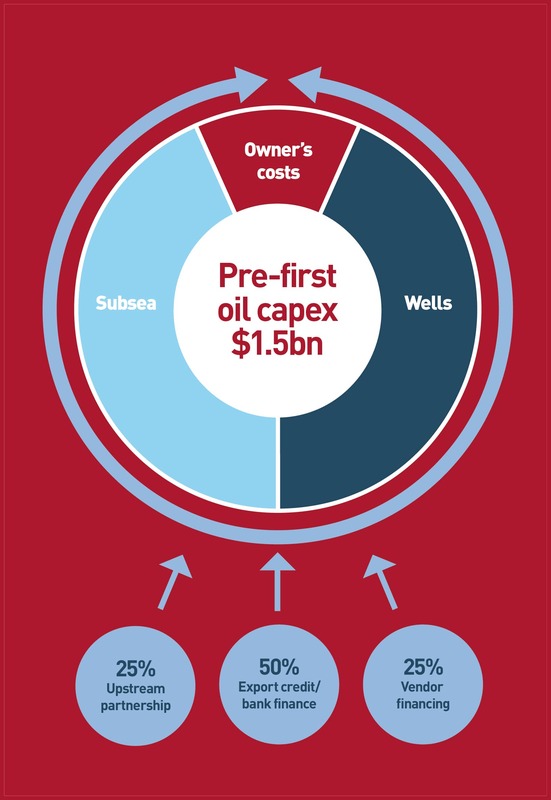 Estimated gross capex to first oil remains US$1.5 billion. The Sea Lion financing plan comprises funding elements including senior project finance debt, vendor financing from contractors and equity from the joint venture. Rockhopper’s share of the joint venture equity is to be funded through the carry arrangements with Premier. Through 2017 and 2018, work focused on securing agreements with key supply chain contractors and, as a result, LOIs have been signed for the provision of key services, including the FPSO, the drilling rig, well services, subsea production systems and helicopter services, as well as vendor funding. The process to convert the LOIs into fully termed executed contracts is well advanced and letters of award will be issued as we go through the sanction process. Through 2018, discussions continued with FIG on a range of fiscal, environmental and regulatory matters. Following the submission of a revised draft FDP to FIG in early March 2018, the FDP is now considered substantially agreed with a final FDP submission expected in the lead-up to sanction. With the FDP and EIS largely complete, a 42-day public consultation on the EIS commenced in January 2018. No material objections were raised through the consultation process and various comments identified through the process have been addressed in the final EIS submission. Engagement with FIG continues with a view to obtaining the consents and agreements necessary to be in a position to reach a final investment decision. The Sea Lion Discovery Area is due to expire on 15 April 2020. The submission of the final Field Development Plan for FIG approval is expected before that date and therefore no further license extension is currently thought to be required from FIG.